Google celebrated its 20th birthday last month. Yes, it might be hard to recall a time when it wasn’t integral in our lives, but the tech giant only officially entered the world in September 1998 when two Stanford PhD students - Larry Page and Sergey Brin – launched the search engine that would change the world as we know it. From humble beginnings in a Stanford dorm, it is now a global company worth nearly a trillion dollars and used in 190 countries around the world. It’s famous for its Google Doodles, multi-coloured logo and global reach, and is the mother, brother, sister, father and grandparents of all search engines. It’s much more than just a search engine now, but that is still what most people associate the name with – and “Google it” and “I’ve just Googled” have become very common phrases as internet usage has soared. What impact has it had on property, though? And how far have search engines come since the late 1990s? Hard to believe now, with Google so dominant, but in the late ‘90s there were a vast number of search engines all fighting it out for supremacy. Clearing out the house the other day, I came across an old book – published in 1999 – called ‘Site Finders, Homes & Property on the Internet’ (sadly no longer in publication). Written by Philip Harrison, it was a guide to thousands of top sites for buyers, sellers, homeowners, tenants and property professionals. In the ‘internet search engines and directories’ chapter, Google doesn’t even feature. Instead, names such as AltaVista – at the time one of the top ten internet search engines, used by millions worldwide, but bought out by Yahoo! in 2003 after losing ground on Google – AskJeeves, DogPile, Lycos, Search UK and UK Plus (owned by DMGT) appear, as well as HotBot, Infoseek, Excite, Electronic Yellow Pages and Yahoo UK. Some of these are still going strong, but most have since been lost to history, engulfed by the sheer power and pull of Google. In those days, before Rightmove and Zoopla appeared on the scene, search engines were often used as a way to browse for property. Google still takes on that mantle, to a large degree, although mostly as the search before the search – i.e. someone looking for a home to rent or buy in London types in ‘properties to rent/buy in London’, to which Google responds with a ridiculous number of search results. Some 62,900,000 when I just tried a minute ago! Rightmove and Zoopla, unsurprisingly, tend to appear at the top of Google searches for property, while the likes of Gumtree, OnTheMarket, Prime Location and OpenRent also make the first page. Then come the big estate agents, with strong brand recognition and the budgets to spend on SEO (search engine optimisation) and clever ways of improving Google rankings. When I typed in the above query, Savills, Your Move, Marsh & Parsons and Douglas & Gordon all appeared on page one, while Dexters, Knight Frank and Andrews appeared towards the top of page two. Getting on the first page of Google rankings has become hugely important for agents, particularly when it comes to region specific searches. Mostly, though, Google has transformed the property industry in the last 20 years by giving a platform for the likes of Rightmove and Zoopla to really thrive. It’s also helped to expand the reach of many regional agencies, and increase the number offering nationwide services. What’s more – along with the rapid growth of the internet – it has no doubt helped to boost the profile, appeal and accessibility of online/hybrid operators looking to disrupt the market. We know the vast majority of people start their property searches online nowadays, and – if they’re not heading there direct through one of the portals or an agent’s website – they are more than likely turning to Google as their first port of call. Twenty years ago that would’ve been unthinkable; now it’s hard to believe there was ever another way. Interesting to note, from the same book, how limited the UK was in terms of online property magazines and newspapers in 1999, with Housing Today, Inside Housing, London Property News, Irish Property News, Country Life and On the Move the only ones really in existence, as well as the property sections of the online versions of local newspapers such as the Yorkshire Post, Newbury News, the Surrey Advertiser and the Maidenhead Advertiser. Of the magazines/news site mentioned above, London Property News, Irish Property News, Housing Today and On the Move are no longer, showing how difficult (and important) it is for sites to remain fresh, relevant and up-to-date. 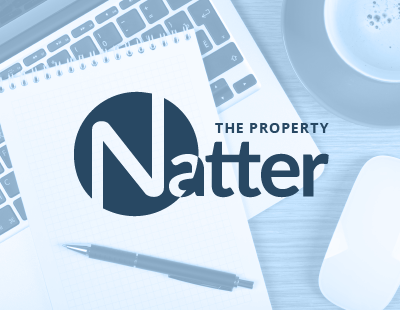 Last week I joined a few members of The ValPal Network team at Agent Rainmaker LIVE, the event founded and run by lettings expert Sally Lawson and held over two days at Thistle Hotel London Heathrow Terminal 5. Targeted at letting agents looking to grow their profits, the event was superbly well-run, with Sally imparting her expert knowledge and Neil Martin, co-founder of Marketing Rainmaker, the digital marketing coaching company designed exclusively for letting agents, also delivering some rousing words. There were plenty of other expert speakers and success stories on show, with many agents and investors sharing how they had established, rapidly expanded or revived their businesses in a number of ingenious ways, all leading to much better profits. Lots took place over the two days, but there were a few standout moments. The aforementioned Neil Martin gave a brutally honest speech about why agents are not making the most out of social media and how they can 'win' the game of marketing in today’s competitive, crowded marketplace. Elsewhere, Nigel Risner – an author and popular speaker at various property events – got everyone to channel their inner zookeepers (yes, really), calling on agents to properly understand the different animals (personalities) they deal with in their businesses and how communication can be improved with them all. Roger Harrop – author, speaker and business expert – was also on hand with his helicopter analogy, encouraging agents to step back, take a bird's-eye view and keep their eyes on the big picture in their businesses. If that wasn’t enough, Sally Lawson herself was on hand to bust the 10 biggest myths holding letting agents back (and what they need to do instead), as well as looking closely at the main challenges agencies face at each stage of their growth. To round things off, the inaugural Agent Rainmaker awards were held and eight agencies were welcomed into the Agent Rainmaker Hall of Fame, while £26,586 was raised for Promise Dreams - a national charity for children who are seriously or terminally ill. There was also a rather impressive impromptu rap by Neil Martin, the highlights of which you can see at the bottom of this article. It’s an event with a great deal of zip, purpose and energy – driven forward by the enthusiasm of Sally and Neil – and we get to do it all over again next year. If you want to attend again or missed out this time out, here’s where you can put that right. The ValPal Network were, of course, exhibiting at the event. Here’s me with a few of the team. If you have any thoughts on how Google changed the property industry – or the world – let us know in the comments section. What Google has achieved in just 20 years is totally incredible and your reflections on the dramatic changes in our own industry are fascinating. What intrigues me is the total dominance they now have and I wonder what the online search space will look like in another 20 years. Is there another search engine being created that will usurp the mighty Google in the years ahead? Difficult to envisage at the moment... but then I couldn't foresee that my favourite search engine at the time ( AskJeeves ) would ever be overtaken by a firm created in a Stanford dorm!